Walt Disney Pictures once again "spot-lights" comedy, fantasy and fun-filled adventure in the highly anticipated sequel to the 1996 box office blockbuster, "101 Dalmatians." In this all-new tale, Cruella De Vil (GLENN CLOSE) is released from prison on good behavior swearing that she will have nothing to do with fur ever again in her life. She, however, cannot keep this promise and soon is plotting another "FUROCIOUS" scheme to get her ultimate Dalmatian coat. 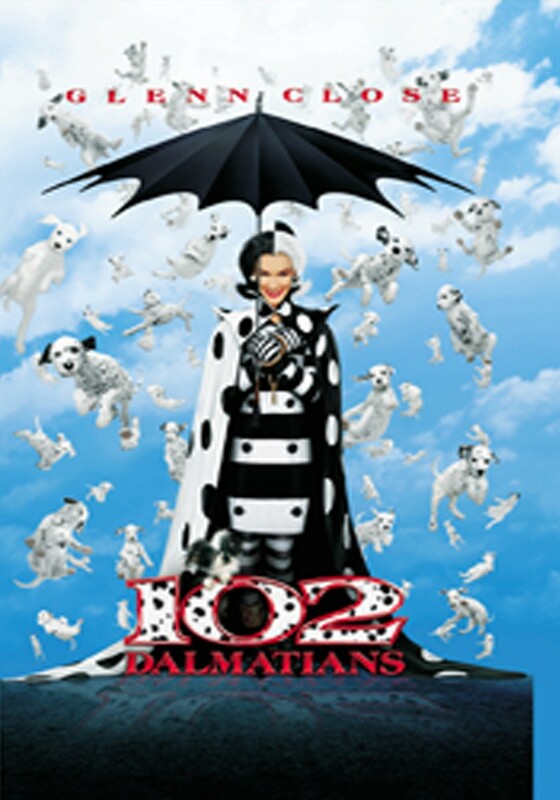 The fun and adventure shift into high gear as Cruella and the dogs romp through Paris, in Walt Disney Pictures’ live-action comedy, "102 Dalmatians."